Comedian, writer, and actress Sophie Santos (UCB, The Lesbian Agenda, Handmaid’s Tale: The Musical) joins us to talk about the answer to the classic setup, “What does a lesbian bring to a second date?” Hint: It’s not a dental dam. We dissect the urge to merge and whether or not we’re really that much quicker to sign a lease with our ladies than hetero couples. 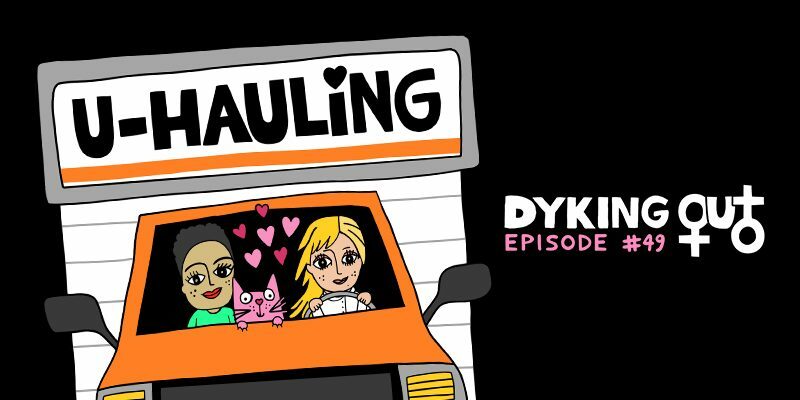 We also talk about what kind of girlfriend with think Cara Delevingne is, what Pink’s life could have been had her career not taken off, and whether or not it’s weird that Carolyn would totally get with Madonna (in theory) no matter how insufferable she is. You’ll have to listen to the whole episode to find out whether or not we all move in together by the end (or whether or not we figure out the VMAs). Oh, and this episode is definitely NOT sponsored by Norwegian or Spirit airlines.